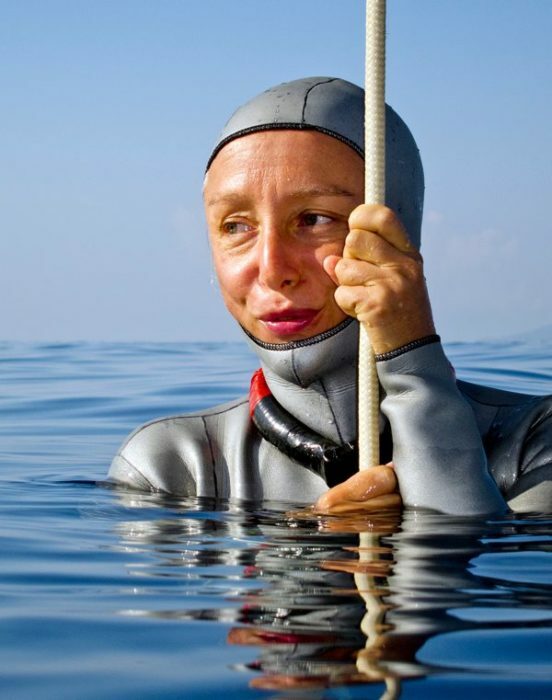 Sara Campbell, Dahab-based, British freediver, is known as much for her rapid progression to world-class level when she appeared on the freediving scene in 2007, as for her meditative and spiritual approach to freediving through kundalini yoga, meditation and practice of deep relaxation. While many top-level/world record breaking athletes will recognize that freediving can be a meditative or even spiritual practice and know the benefits of meditation, pranayama, and yoga for their performance, few, if any, will credit these mental aspects almost entirely. It is upon this that Sara bases her coaching, for freedivers of all levels. In 2007, Sara set three depth world records, having just nine months of freediving experience – a trajectory never seen before, or (so far) since. Not only this, these records were all set in the space of three consecutive days, at the Triple Depth competition in Dahab, Egypt. 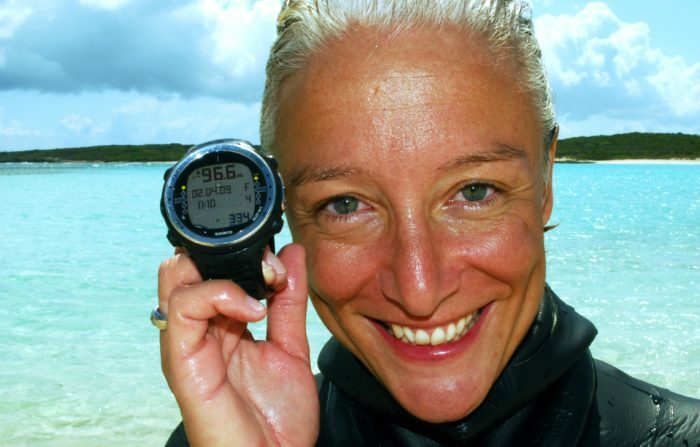 She broke her fourth world record in 2009. Sara is also credited with having dived (not officially ratified, but documented in a youtube video) to 104m in 2011, six years before that number was officially equaled by Alessia Zecchini, at the Vertical Blue competition in the Bahamas in 2017. 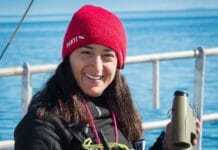 Prior to this, however, back in 2008, Sara suffered two black-outs (a loss of consciousness due to low oxygen levels) attempting to become the first woman to reach the 100m mark in Constant Weight (this was eventually reached by Natalia Molchanova in Sept 2009). This pushed Sara to reassess her approach, and return to a daily practice of kundalini yoga, and choosing to dive only for joy, rather than for numbers. Today, Sara has no intention to return to competitive freediving. The four-times world record breaker is leading freediving and spiritual coach. A practitioner since 2002, and later a teacher of Kundalini yoga, Sara became an instructor trainer in 2014. Sara founded Discover Your Depths – a personal transformation program – to share her approach and philosophy to personal growth using freediving, yoga, and meditation, helping people to discover their own potential. Sara’s own story, of someone coming from the corporate world in PR In London, struggling with chronic illness, facing emotional challenges, and being the driving force behind her own transformation is inspiring to the many people who face similar challenges in their lives. Based in Dahab, Egypt, Sara also teaches and presents internationally, runs retreats, and has an online training program: Yoga for Freediving. 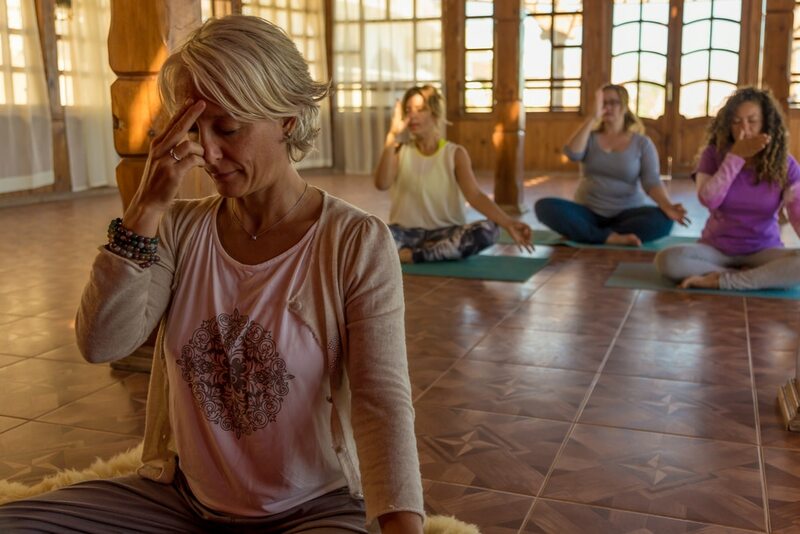 If you’re ever in Dahab, joining one of Sara’s kundalini classes is an experience not to be missed! Discover more of Sara’s unique approach to freediving and life below, and read about her experience of diving to 104m on one breath, who she admires, and more. Thanks for sharing with us Sara! 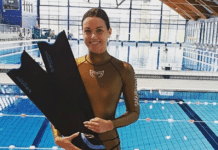 Sara Campbell: Every time I get in the water, no matter what depth (probably around 30-40m these days) and I feel that moment of absolute bliss, outside of time, space and an urge to breathe. Everything is perfect at that moment, and I know that this is why I dive. I also am extremely inspired by the work we do with our clients. We go way beyond the technical aspects of the sport and really help people to understand themselves through their relationship with the ocean. It is beautiful to see someone have a moment of deep realization about themselves, or finally let go of something that has been holding them back – not just intellectually, but on the physical, emotional and cellular level. This is when the true transformation occurs – and I feel so grateful to be able to do this work. SC: I probably most admire the unknown heroes – those who achieve the immense breakthrough of confronting and facing their fears head-on and having the courage to be truly vulnerable and raw in the honesty that they bring to their experience in the water. I have known people dive with cancer, people dealing with grief and trauma, debilitating and sometimes terminal illness get in the water and feel free. Rather than stay stuck in feeling sorry for themselves, they get out and live every moment given to them in the bravest and vibrant ways. DB: What are your favorite place/s to freedive? SC: It always was and always will be Dahab. SC: Rather than specific locations, I would love to be anywhere where I get to interact in a natural and non-intrusive way, with any of the big mammals, our cousins and teachers – the gentle giants – the whales, and the eternal children – the dolphins. SC: Step away from the numbers, the race for the next certification, and focus on the feelings and being relaxed. SC: I didn’t do any cross-training unless you consider meditation a form of cross-training. At the end of my deep training cycle (in the last month leading up to my 104m dive, for example), I did only 4 deep dives in more or less one month, with a 7-10 day break between each dive. 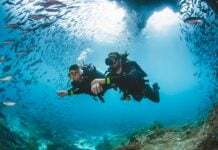 No warm-ups, no technical training, no strength, stamina, breath-hold or other – just deep rest, relaxation and intense meditation to ensure I was fully ready for the dive by being integrated mind, body and spirit. Then the magic can happen. SC: Breakfast – with an afternoon dive. SC: Healthy, whole foods and to listen to my body. When training hard I really needed extra protein so added some chicken to my diet. But I suffer from ulcerative colitis so my diet often is dictated as much by my condition as by my training. SC: That I know almost nothing and am here to keep learning. Humility. Surrender. Trust in a higher power. Look to Nature for ultimate wisdom and truths, not our mind. SC: Hmm, I’m not sure. But I’m working on some new programmes.  Until now my coaching has been entirely intuitive and it has been hard to find a way to teach other freediving instructors how to deliver that. I’m close to launching a few new programmes, which will make my methods accessible to more people, in more places. New to come soon…. SC: I tried the other night to explain the experience of my 104m dive, but it’s like asking someone to explain the state of deep meditation when we enter the realm of ‘otherness’ which, when we arrive there, know to be the absolute truth. But the fact is, this state is beyond language, and therefore beyond explanation. It’s impossible because we are forced to use the human mind which is so limited, to describe the state of infinity, God, however, you want to call it. So other than to say that it is some form of bliss, complete surrender, deep peace etc etc etc blah blah blah, it is just words, which are wasted because they can’t come close to describing what you would like to know. Sorry! SC: It is my personal life where I aim for the highest level of achievement, in my personal interactions, communication, relationships. I think this is far more important than anything that we can achieve in the realm of work or sport. I also don’t feel that my dives were really ‘achievements’ – for whatever reason, I came to Dahab for a week’s holiday to resolve some personal issues in December 2004, heard a voice in my heart on day three saying I was home, decided to trust it, and have been guided by this same intuition ever since – none of it was me. The only achievement I could say was mine in relation to my dives, has been to trust and keep on letting go.